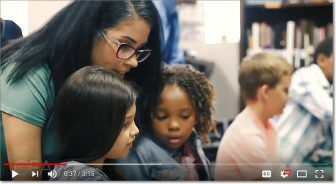 Ohio’s New Educators (ONE) is a unique community within the Ohio Education Association (OEA) supporting early career educators in their first years of teaching. Our statewide network engages and empowers educators in the first 10 years of their career to become successful, active and visible in their profession and community through collective action. Leadership Development: ONE helps build leadership skills that equip members to inspire others, be more confident in their profession and be a strong voice for their students. Professional Growth: ONE gives early career educators access to some of the most sought-after authorities in education who provide new and innovative programs and resources on classroom management, lesson planning and more that members can use in their classrooms. Peer-to-Peer Support: ONE provides opportunities to connect and support one another through regional events, working with school districts and reaching out to aspiring educators and colleges and universities. • Megan Murphy, Maple Heights T.A. • Marissa Platton, Austintown E.A. • Stephanie Duwve, Sylvania E.A. • Jonetta Reed, Euclid E.A. • Emily Russ, Avon T.A. • Jamie Thompson, Steubenville E.A. • Helen Casto, Steubenville E.A. • Kaneale Bintz, Tri-Valley E.A. • Emily Schweppe, Reading E.A. • Kayla Conaway, Portsmouth City T.A. • Isabel Bozada, Reynoldsburg E.A. • Colleen O’Connell, Reynoldsburg E.A. • Joe Sorenson, Reynoldsburg E.A. • Steven Yeager, Heath E.A.